Bin Moosa Group a locally owned company established in 1979 by its founder Engineer Sayyah Mohd Moosa Al Qubaisi, a graduate, from Swansea University in UK, with a degree in Mechanical Engineering. Platinum List organises many events in UAE and promote events by selling tickets online on web sites and is very much famous in doing DJ competitions across Middle East region, iBonus System matched the pace of fast deployment as required by them. Dubai International Academic City (DIAC) and Dubai Technology and Media Free Zone Authority (TECOM) are delighted to offer you a unique student ID and lifestyle card for all students enrolled in DIAC and Dubai Knowledge Village (DKV) institutes. Max Retail is member of The Landmark Group, founded in 1973 with a single store in Bahrain has grown into one of the largest retail conglomerates in the Middle East and is expanding rapidly in India. 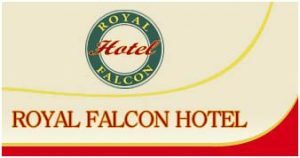 The Royal Falcon Hotel, a 3-star hotel in the heart of Dubai, believes in a single-pronged mission– to make its guest feel like stars. The facility brings to its patrons all the amenities of a 3-star hotel and then some more. Supreme Food Service AG uses the iBonus System in their 4 canteens located in Afghanistan’s NATO camp. iBonus was readily adapted to match the fast paced deployment by Supreme Food Service AG and was made available by AVI Infosys in a record span of2 weeks. Established in 2006, Safer Driver provides a viable transport solution to a wide range of hotel and bar customers. 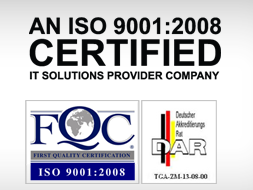 Safer Driver is the only authorized agency registered with Dubai’s Roads and Transport Authority (RTA). It has provided quality service in the transportation industry and has a clean record of driving their customers safely to their destinations in the comfort of their own vehicles. Mohideen Supermarket in Dubai uses the select iBonus System to provide bonus points To all its shoppers. iBonus System was adequately adapted to meet the day to day requirements of the Supermarket in the minimal time of 1 week. Mona Beauty Center is a premium salon for ladies. It offers quality beauty services for today’s empowered women. There is a wide range of beauty treatments and services available in a modern, relaxed and friendly atmosphere for women in every age group. Jenny Flowers is UAE’s first name for florist services and worldwide flower deliveries. For the past 18 years, It has upheld its No.1 position in the competitive interior market of plants and flower decoration and landscape gardening in Dubai. It caters to the top and high profile establishments in Dubai. Friends Games and Net CafÃ© is an Internet cafÃ© in Egypt which uses the iBonus System to provide bonus points to its guests. iBonus was easily adapted to address the precise needs of Friends Games and Net CafÃ© in a short duration of 1 day. Established in 1992, Samer Salon and Spa is the first spa specially designed to cater to the needs of modern men in the UAE. The center provides quality and exclusive services to men and believes in exceeding their expectations. Ramy Trading Co. LLC is a reputed automobile detailing company based in the UAE which is dedicated to fulfilling the needs of the owners of fine cars. With their head office in Dubai and a branch office in Abu Dhabi, the company provides quality service to a wide range of customers in the UAE. The Monaluxe Chain of Supermarkets is located in the country of Congo and has deployed the iBonus system for a long time to provide bonus points to its regular shoppers. The iBonus System was customized according to the needs of the Monaluxe Chain of Supermarkets in 1 week’s time. 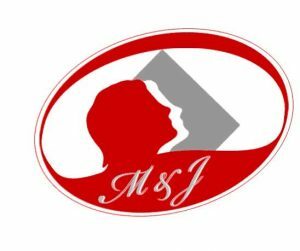 M & J Gents Saloon is a premium saloon for men in the heart of Dubai. The company believes in the total grooming of its clients and works to achieve this objective.The company provides beauty treatments, complete body care services and a stress free environment for an all-round rejuvenation of their customers. AL Musaharati Restaurant and Coffee Shop in Dubai is a unique stand alone cafe with a phenomenal following. It uses the iBonus System to award bonus points to its guests. The iBonus system was professionally adapted to address the needs of the AL Musaharati Restaurant and Coffee Shop in a record time span of 1 week.